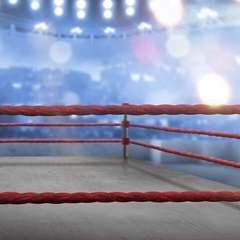 Miami - Boxing legend Muhammad Ali's physician and cornerman, "Fight Doctor" Ferdie Pacheco, died on Thursday at his home in Miami, his family announced. He was 89. Pacheco, who earned a medical degree from the University of Miami, met Ali in the early 1960s at Miami's Fifth Street Gym when the future icon was known as Cassius Clay and working with legendary trainer Angelo Dundee. Working in Ali's corner with Dundee in the 1960s, Pacheco kept his place in Ali's inner circle during most of the superstar's reign as boxing's heavyweight champion. Pacheco, an American of Cuban and Spanish heritage, played a key role in Ali's 1964 title fight against Sonny Liston. Ali's blood pressure rose at the weigh-in and Pacheco was asked to examine the fighter away from the rowdy atmosphere. Ali admitted to Pacheco he was acting "crazy" to scare Liston and when Pacheco examined him, Ali's reading was normal. He went on to win the fight. Pacheco became worried about the years of punches Ali absorbed and voiced his concern after the 1975 "Thrilla in Manila" when Ali kept his crown by defeating Joe Frazier. After Ali beat Earnie Shavers in 1977, Pacheco urged Ali to retire. When he didn't leave the ring, Pacheco left Ali's team. Ali's boxing career ended in 1981 and soon after he began a 32-year fight with Parkinson's disease until his death at age 74 in June 2016. Ali finished 56-5 with 37 wins by knockout. Pacheco, who became a television boxing analyst in the 1980s and 1990s, assisted Dundee with 12 boxing world champions in addition to Ali.